Main and Continuation Grants offer long term funding to support the core work of projects that have done some research and tested out their ideas. The maximum award for a Main Grant is £90,000 over a three year period. Continuation Grants can be awarded after a Main Grant has ceased, at a maximum of £40,000, over a further two years. You can apply for up to 50 per cent of your project costs, and you'll need to source 100 per cent match funding. However if you can evidence that your project will predominantly support people among the poorest in Scotland, Go For It can provide up to 80 per cent of your project costs, and only a 20 per cent match is required. The next deadline for submitting a Main or Continuation Grant application is 12 September 2019. 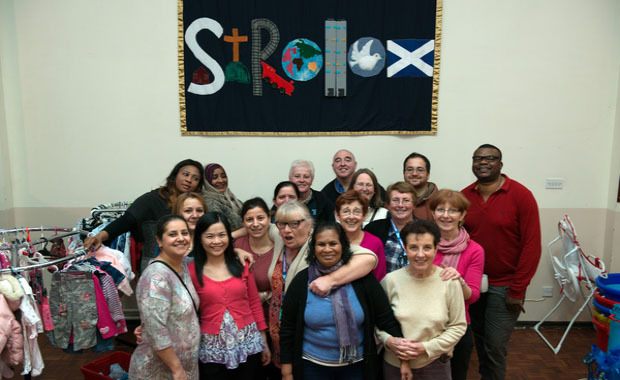 Applications must evidence an association with a Church of Scotland congregation, be focused on a project, and demonstrate a commitment to good partnership working. Please complete and submit the eligibility questionnaire. Go For It will only fund one project, from one church, at any one time. Consequently you can only submit one application per church at any given time. You may only apply to Go For It for funding for a new project, once any existing funding has ceased. To apply for a Main or Continuation Grant, you must first send us an outline of your project using our Initial Proposal Form. This gives us some idea of what you'd like to do, and allows us come back to you, if necessary, to discuss your proposal further. But remember this is only the first stage, and after this, we'll require a full application. Once we've received your Initial Proposal Form and confirmed your eligibility to apply, you'll be invited to submit a full application (including resources spreadsheet) by the next deadline*. This full application will be considered at our Grants meeting. We strongly advise that you closely refer to the Main/ Continuation Grant guidelines, when you're completing your application form. Please contact the Go For It Team at any time to discuss your application. Step four: what happens next? There will be two assessment reports put forward to the Committee, along with your application; one from a member of staff, and the other from a designated Committee member. The Committee member will also arrange a telephone interview with the main contact person named in your application, in order to complete their assessments. The final decision will be made by the Committee by consensus or, if necessary, by vote, following review of your application, assessment reports and discussion. The Committee currently meet to discuss Grant funding in the Spring and Autumn. You'll receive a letter informing you of the Committee's decision within five working days of the meeting. If your application is unsuccessful, the reasons why we've decided not to fund your project at this time will be indicated in the letter. Projects already in receipt of a Go For It Main or Continuation Grant are eligible to apply for two Small Grants, Training and Help. For more information and to apply for one of the Grants, please download the relevant paperwork below. Training and Help Grants are assessed on a monthly rolling programme, and you will receive a decision within six to eight weeks of submitting your application. Please note that due to Summer holidays, all Training and Help Grant applications received after 15 June will not be assessed until the end of August. Training Grants are awarded to develop the skills and knowledge of people within Main or Continuation funded projects. Help Grants may be awarded once, where circumstances which could not have been reasonably foreseen, create a significant opportunity or a small crisis for a project supported by a Main or Continuation Grant. Find out what happens after you receive an award letter, and the further support Go For It provides.